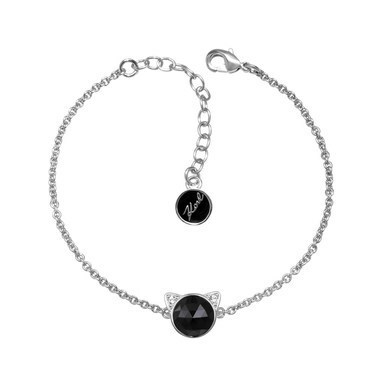 Be the coolest kitten on the block with this bracelet from the world renowned Karl Lagerfeld. Crafted with a rhodium plating, this chain bracelet features a cat motif, modelled after his famous feline Choupette. Swarovski crystals give this edgy piece a stunning finish.